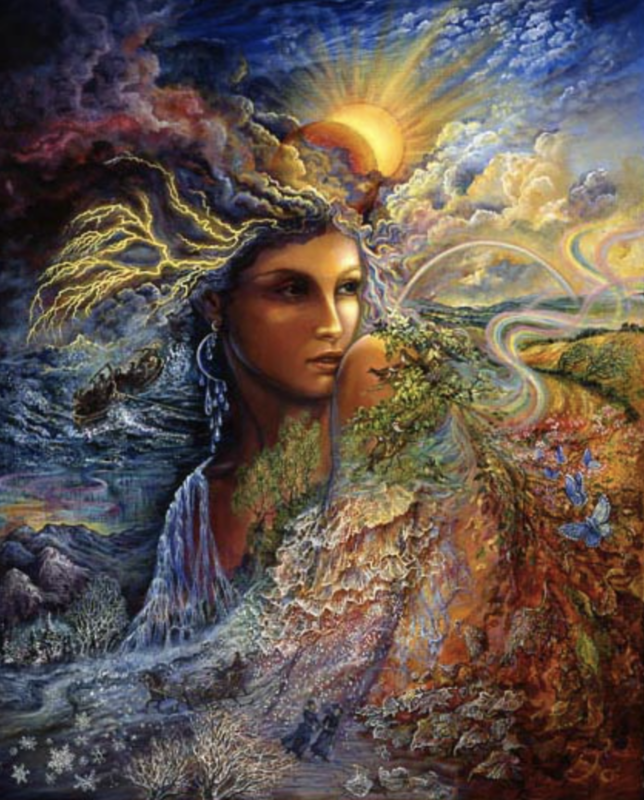 Tara–the very name evokes the ancient beginnings of Éire. That was the location of the famous Lia Fáil, known as the Stone of Destiny. That was the legendary site of the famous Mead Hall of the high kings…the Mound of Hostages….White Grange… the ráths or ringforts of kings and even mythic beings. 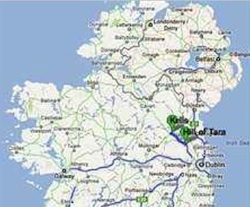 In the map shown here, you will see that Tara lies in Co. Meath, not far from Dublin. 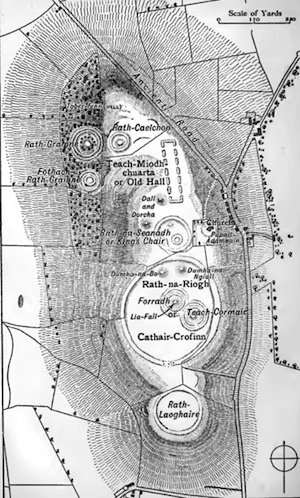 During the fifth century AD when my novels take place, Tara was the site where Ireland’s high king Leary had his “bally” or settlement, and it served as the seat of his power. In the times well before that, since the dawn of Ireland’s civilization, this area was venerated as the sacral center of neolithic people around 5,000 years ago. 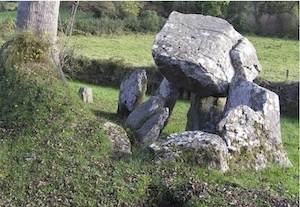 According to Ireland’s legends, Tara predated even those neolithic people, as it was the cradle of the Tuatha Dé Danann, pre-Celtic dwellers who held this land sacred. One can see by looking at a panoramic view that Tara is elevated gently, commanding a viewer to see for miles around. In a country largely devoid of peaks, this must have been a natural site to place its kings–close to the ocean, near rivers that feed the verdant, rolling hills where thousands of head of cattle could roam. 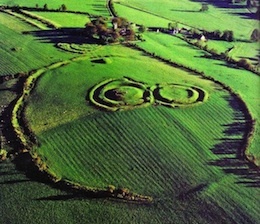 The Hill of Tara figures prominently in several of my novels, both published and unpublished. 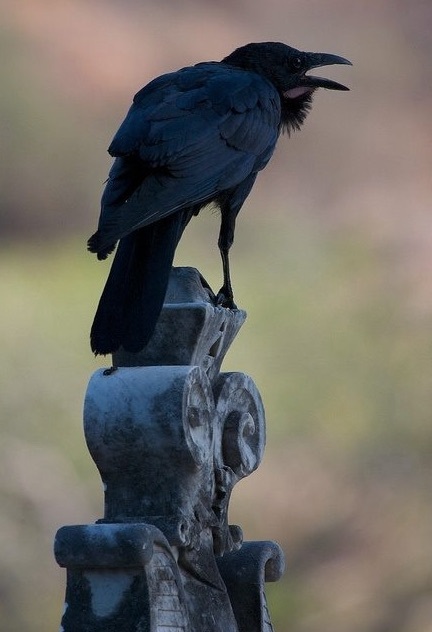 The first time the character Caylith stands on the ancient grounds, she is with her mother listening to the High King as he utters condemnations and bestows endowments from the Throne of Judgment. Later, she and the other characters watch a hurling match in a field near the sacred mounds, hosted by the king himself. 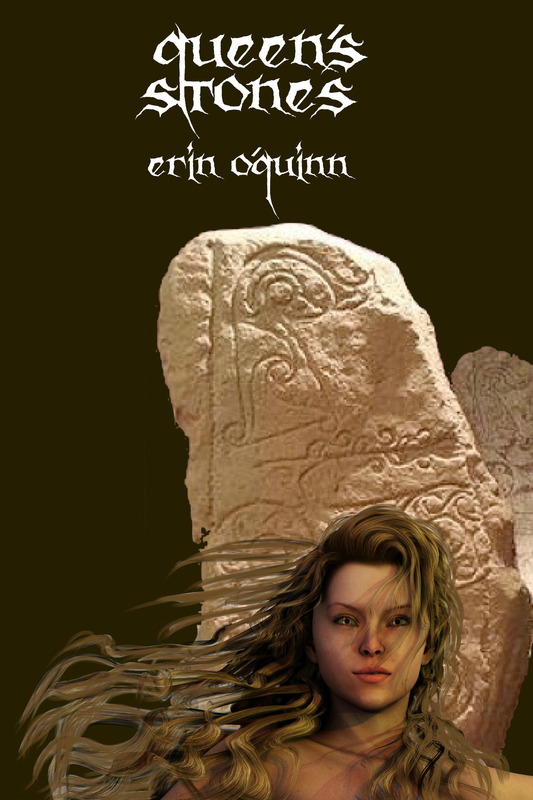 In a later book, Caylith returns with her new husband in a failed attempt to forestall a confrontation between King Leary and St. Patrick. The the bold priest has set himself to lighting a huge bonfire to rival the king’s own Beltane purification fire. 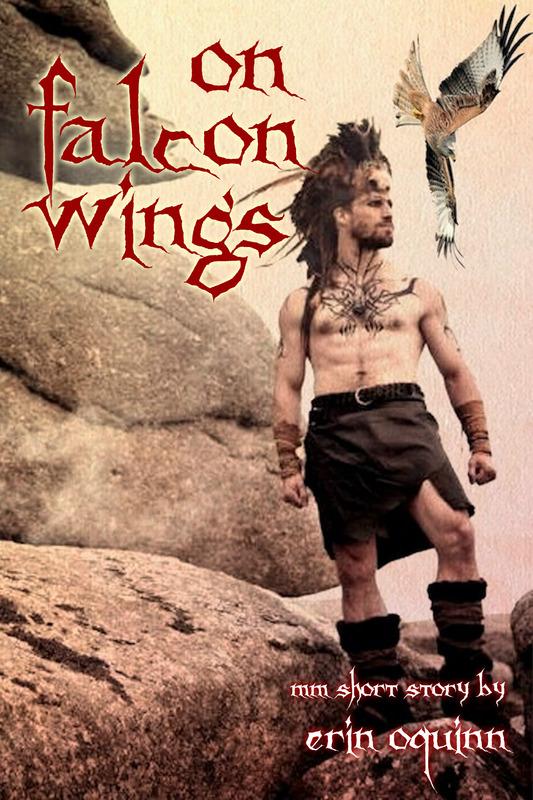 This event, supposed to have happened in 432 AD, is the part of the climax of my novel The Wakening Fire. 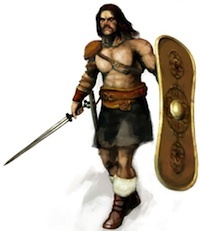 In my recent novels Warrior, Ride Hard and Warrior, Stand Tall the characters are in a “flashback” setting, as I tell what was happening behind the scenes when Caylith and her mother were given lands before the Throne of Judgment. 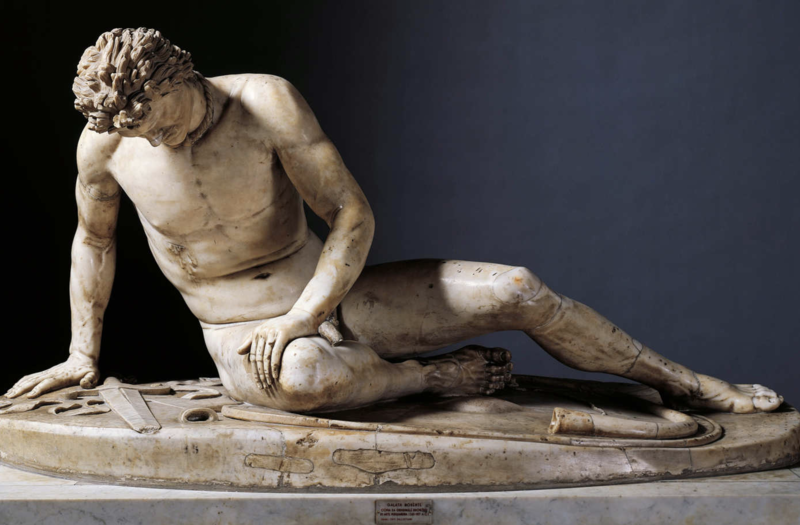 Later, one of the characters is captured and held inside the Mound of Hostages, and still later another character is severely wounded and left to die under a huge dolmen near the sacred hill. 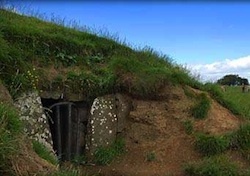 Two of the most intriguing and compelling sites at Tara are the Mound of Hostages and the Lia Fáil, both unarguably several thousands of years old. From neolithic times, the leaders (later, kings) of Ireland held “hostages” or representatives from the various sub-kingships of the island. Ireland’s most famous High King, called Niáll Noígíallach, is known to this day as Niáll of the Nine Hostages, for he held hostages not only from the five provinces of 5th-century Éire but also from Alba, the land we now know as Scotland. A closer look at the opening reveals that it is really quite low, no more than four feet or so. In Warrior, Ride Hard the young man Wynn is thrown into this enclosure and finds that he can hardly sit up, and he cannot move around, because the dimensions inside are so cramped. As I wrote of his captivity, I imagined those hostages from centuries past trying to find air to breathe and room to stretch their limbs in this dire place. I imagined those huge stones at the entrance being rolled across, allowing scant air for the prisoners to breathe. All in all, this famous mound is one to stop a visitor in his tracks. 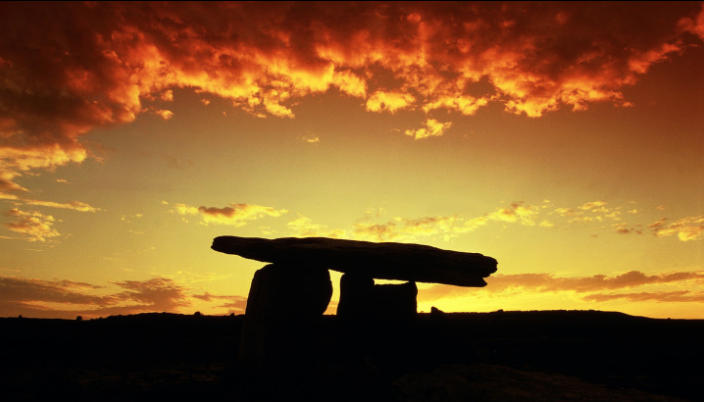 It is clear that it dates from the neolithic period, and that it really was once the site of sacrifice–whether human or animal–and that it was an important part of the rhythm of life of those early dwellers in Ireland. In my most recent novel, STAG HEART, all the action occurs at sacred Tara…action most unbecoming such a venerable site! Mischief and mayhem combine in a tour fe force among several strong men. 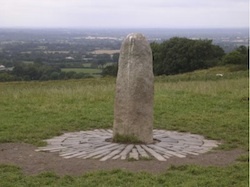 To most Irish people, the word “Tara” conjures up the unforgettable image of the Lia Fáil, the Stone of Destiny. The stone is undeniably, proudly phallic. On this greyish-white stone, would-be kings would have reverently placed their hands. On the ground at the base did the ancient seekers after kingship place their feet. Legends say that if the stone roared, or cried out joyfully, the seeker was the true king. One wonders what happened to those unlucky candidates who heard nary a peep. I suspect that the seekers after the throne had their minions ready somewhere to simulate the sound of approval from this mighty rock! The stone itself is barely six feet high. But in centuries past, this height was no doubt much greater than that of the people. It is said that the stone even passed over to Scotland to usher in the realm of Fergus in ca. AD 500, but modern scholars have debunked that notion. It is more probable that a threshhold stone was taken instead, one of sufficient size to warrant being a “swearing-in” stone, but not this several-ton behemoth! We do know that in the nineteenth century, the Lia Fáil was taken from its place near the Mound of Hostages and placed on its current site. 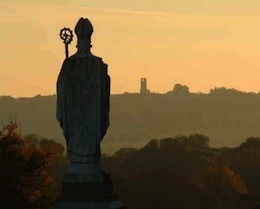 As if to rival the pagan stone of old, a modern statue of St. Patrick now looms on the Hill of tara, near where it is told that he lit his famous Paschal Fires in defiance of High King Leary. Patrick seems even now to defy the pagan beginnings of the ancient Hill of Tara, as his imposing figure stands in a place of honor not so far from the neolithic Stone of Destiny. 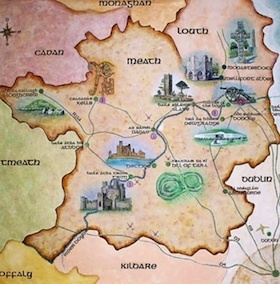 This modern map of the northern and central section of Ireland shows Tara a little more in context. Thanks for this delightful “getaway.” While I have been to England several times, I never quite made it to Ireland–certainly not from lack of desire. Maybe some day . . . . Meanwhile, how precious that I could experience it vicariously from one who knows it well. I must confess *hangs head* I have never made it past London . . . and only then on a whirlwind tour! But I have read and studied and dreamed and fantasized about this land of magic. 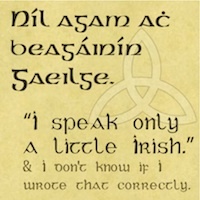 Of all the elements that compel me to research and write novels about Ireland, it is the figure of St. Patrick–in my imagination, a not-too-tall blondish man with cherubic cheeks and penetrating blue eyes. And a voice to charm angels from heaven. Sorry for taking so long to get back to you on this! Well my lecturer was Dr. Conor Newman who is the current (or was at the time) custodian of Tara and the guy that basically wrote the book on it lol. Well his tour basically started at the Teach Miodhchuarta (banqueting hall) which was not actually a banquetting hall at all but rather a processional avenue. This leads to an outer ring (outside Ráith na Rig) which is no longer all that visible but shows up on geo surveys. This outter ring marks the place where the king procession steps from this world into the other. it is designed not to keep people out but the things, demons and creatures of the other world in. If that makes sense. I don’t have the time to write it all up here but I do have a detailed piece written up from a good few years back that I could give you if you want. Though it is something that I am considering using in a story of my own at some point.